If you're a fan of the Real Housewives of Beverly Hills and haven't heard the news, brace yourselves. Yolanda and David Foster are divorcing after four years of marriage, the couple announced Tuesday via a statement released to People. Their statement reads: "Sadly we have decided to go our separate ways. We've shared nine beautiful and joyous years together. During that time we experienced love, friendship and the inevitable challenges that come with managing a marriage, careers, blended families and health issues." 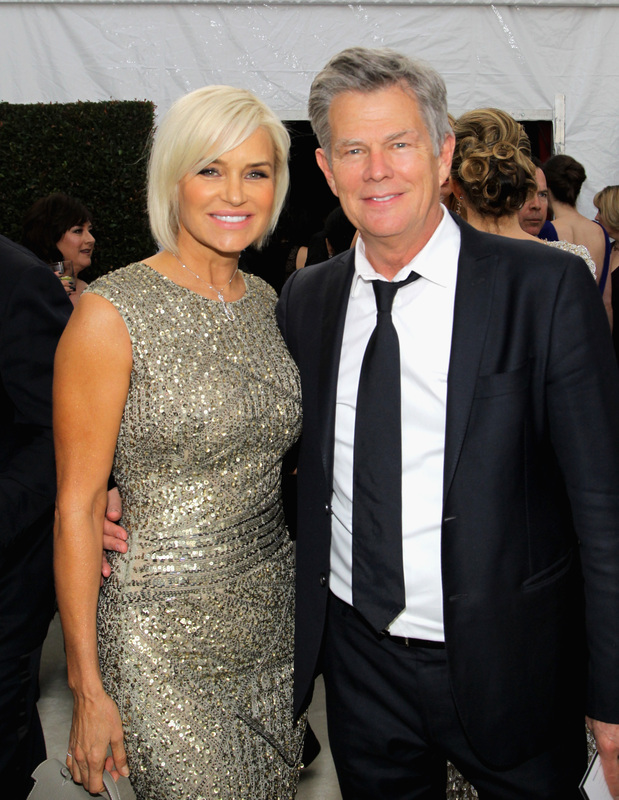 With that said, why did Yolanda and David Foster break up? According to Us Weekly, sources claim their split isn't anything new and something they've been dealing with for some time. Per one insider, it seems that Yolanda's battle with Lyme disease played a part. Reportedly, their relationship became "rocky" around 2012, after she was diagnosed. The source added, "She didn't think he was there for her." As a busy musician, composer, and producer, David travels a lot and is working quite a bit. However, that doesn't necessarily mean that's what contributed to the two parting ways. Based on a report by RadarOnline.com from May, David allegedly wanted Yolanda to quit RHOBH , mainly because of her Lyme disease worsening. A source claimed, "David has told Yolanda there is just no way she can return to the show because her condition is just getting worse. The Lyme disease is just ravaging her, and traveling for the international medical treatments is taking a toll." The two have definitely had a lot on their plates in the past years, especially with Yolanda's illness. With their children growing up, the kids moving out of the house, the couple selling their beloved home, and being in the spotlight thanks to the Bravo reality show, really anything could've contributed to their breakup. Based on the remainder of their statement to People, it seems like the two tried to work through whatever tough times they faced. "We are grateful for the years we've spent together and believe wholeheartedly that we did our best," the statement reads. "I hope that we can pave the road ahead of us with all we've learned and with the love and respect we will always have for one another."